Unique Christmas Ornaments Can Be Found At This Local Shop. 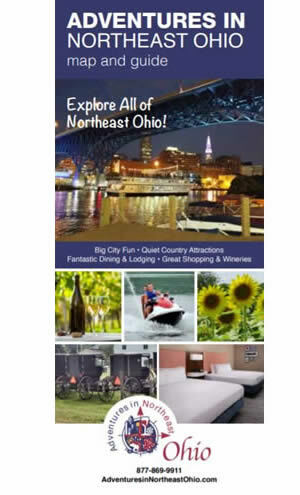 In my quest for unique holiday ornaments, I found myself driving to Lakewood Ohio to find a place that was suggested to me by our NorthernOhioTourism.com followers. For those who grew up in and around Lakewood they would probably know the shop as Hixson’s Floral Barn. At first sight and upon entering you may think time has stood still. And you would not be wrong. 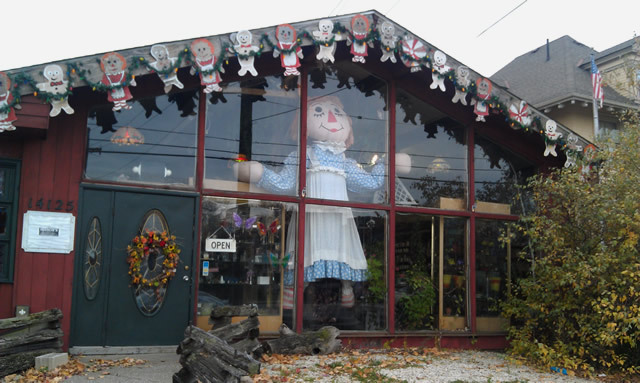 The large Raggedy Ann Doll (which appeared in the Christmas Story movie) adorns the front window and guards over the 1,000 plus holiday ornaments displayed amongst the stores numerous antiques. The owner of this unique shop is Bill Hixson, aka Mr. Christmas. Although in his 80’s, he is still an antique enthusiasts, author, lecturer and florist. Bill is best known for being involved in the decorating of our nation’s White House during the holiday season. He has been designing many of the floral designs used in the home since the Reagans were in office. 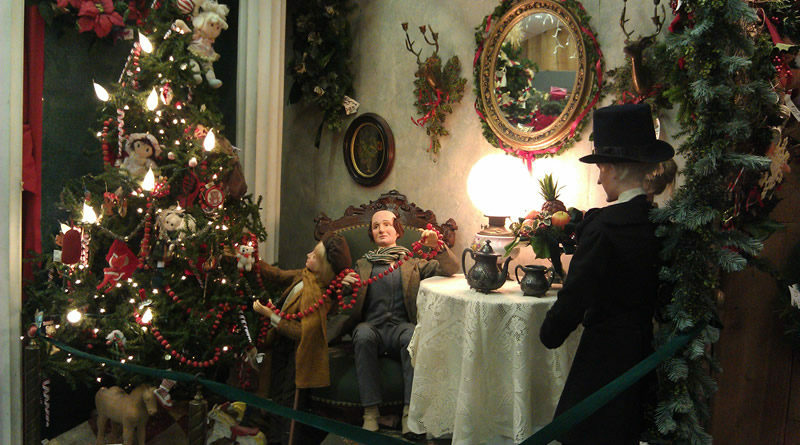 Bill shares many of his White House stories in his book “Legends, Lore and Stories of Christmas Ornaments” available for purchase at his shop. If you are looking for that certain ornament, you will probably find it here. Boxes and boxes or ornaments are everywhere. 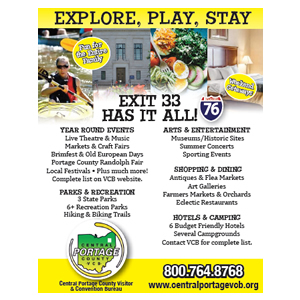 Santas, religious, dogs, cats, sport figures, fruits, snowmen and so much more. Amongst those rows and rows of ornaments you will even find Cleveland’s own keeper of the keys memorialized as an ornament. Who wouldn’t want to add Mr. Jingeling to their tree? Need a few gift giving ornament ideas? May we suggest a pickle, pig and a frog ornament? According to Bill, you should give these symbols of good luck, prosperity, and progress as a team to insure someone of pleasant futures. 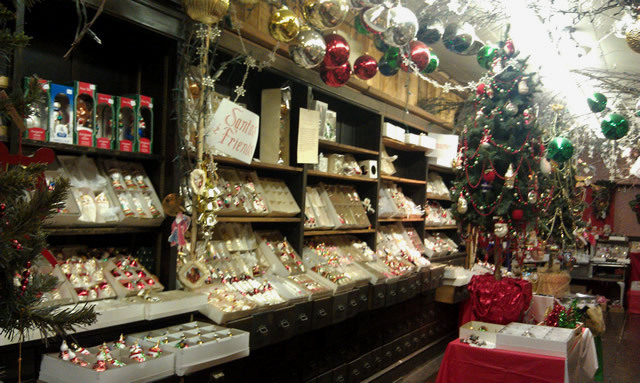 Besides the regular ornaments that can be found in the shop, there is a special area that displays those special ornaments designed by Bill himself. Many of these hand blown ornaments have appeared in the White House Christmas trees. First Bill designs the ornaments, then he works with fourth and fifth generation glass blower families in Europe to produce the ornaments that he has designed. One of his past year’s designs included a snow covered village. (see below) I think this ornament is going to make a wonderful addition to my holiday tree. 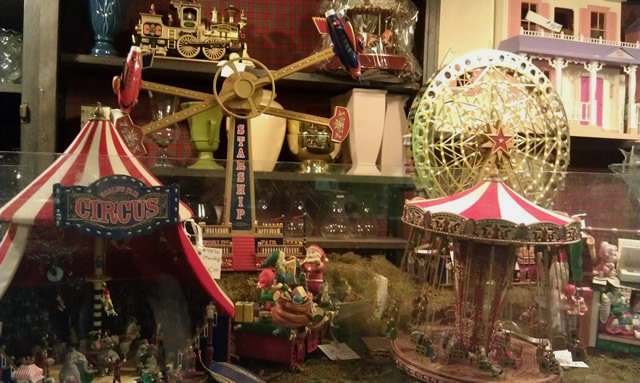 Nostalgia is around every corner is this shop, including one of the holiday displays from Higbee’s windows. (see top of article). According to the shop owner he owns a few of their holiday window displays. 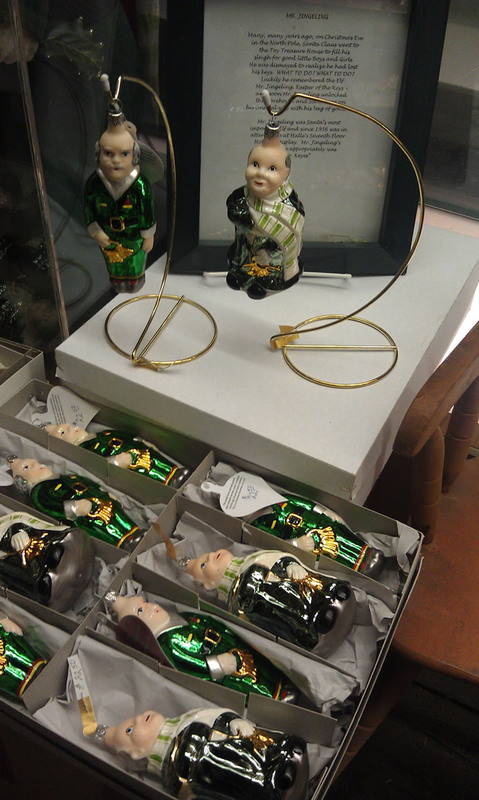 So, if you are looking for “that” perfect holiday ornament, you just may find it at this local treasure.